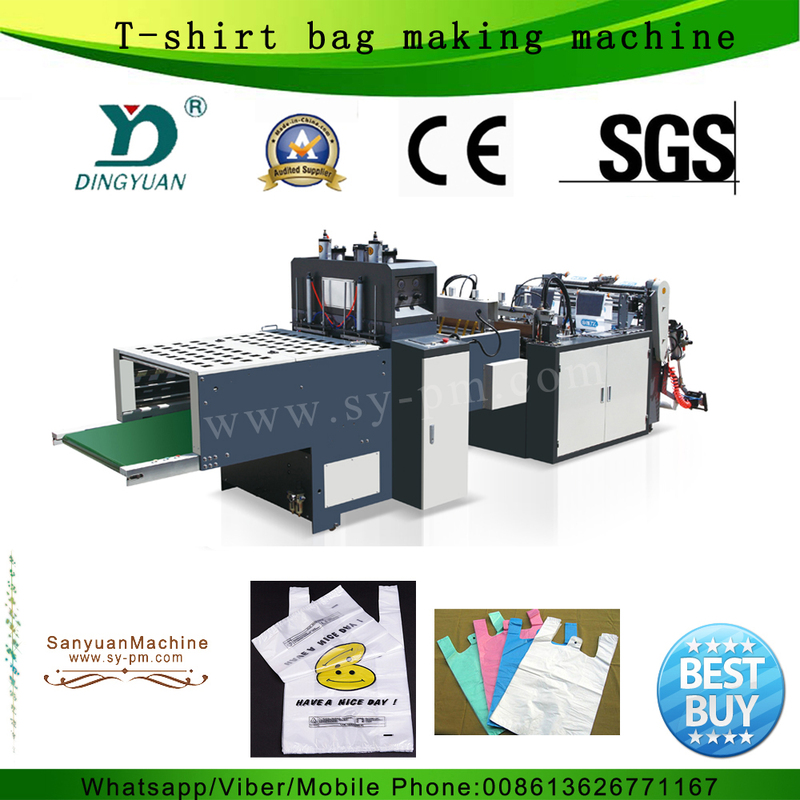 FQG-400*2(450*2)Model Double Servo Motor High Speed Fully Automatic T-shirt Bag Making Machine-Sanyuan plastic packing machinery co.,ltd. 1. 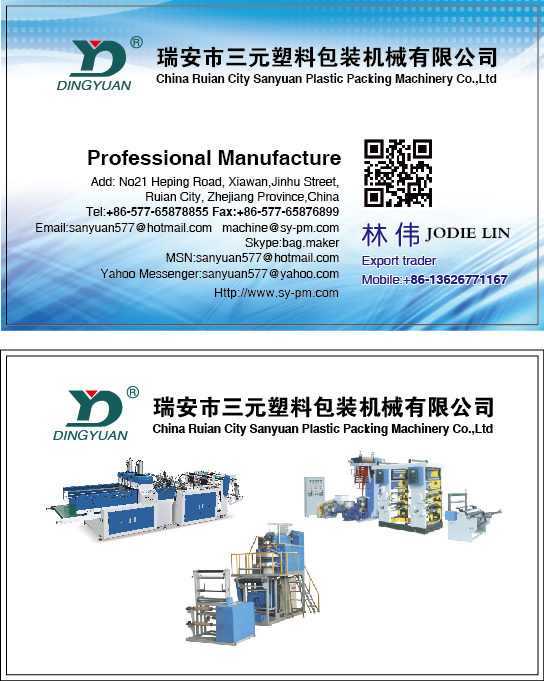 Applications: FQG-400*2(450×2) Lines model bag making machine is suitable for making print bags or no-print bags. 2. Use servo motor, FUJI Brand, to improve the speed. 3. 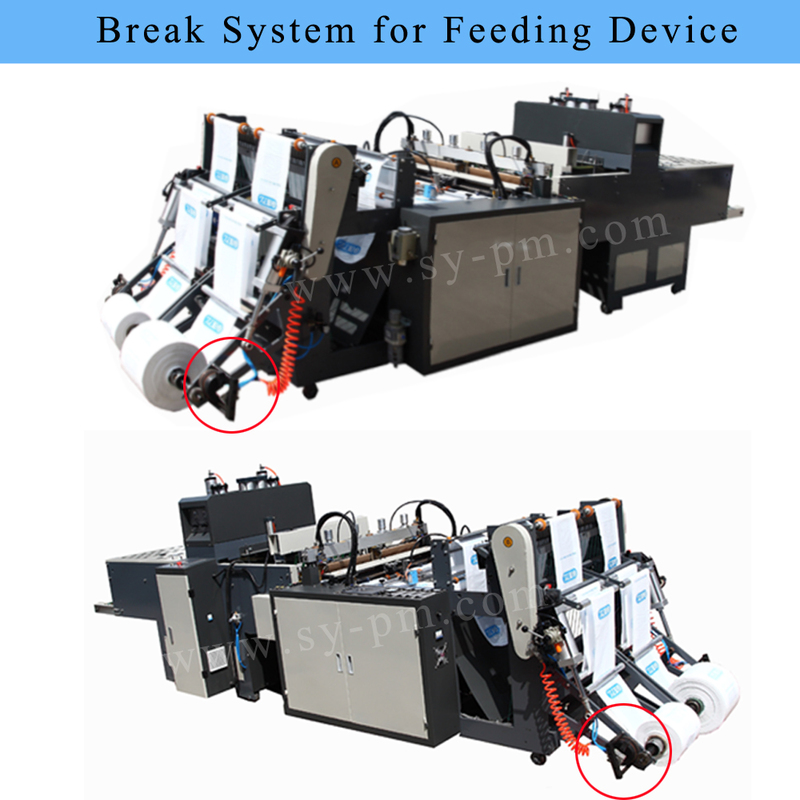 Double line production system: this machine can produce print or no-print bags by two production lines. In this way, the labor salary is saved. 4. Fully automatic: it can do one-line production of the following steps: heat sealing, heat cutting, punching, sending bags out by conveyor belt, folding bags, and waste film delivering. All the above steps is done by one machine. 5. Independent control system: the sealing and cutting device adopts one computer to control the machine. The punch device adopts another computer to control. 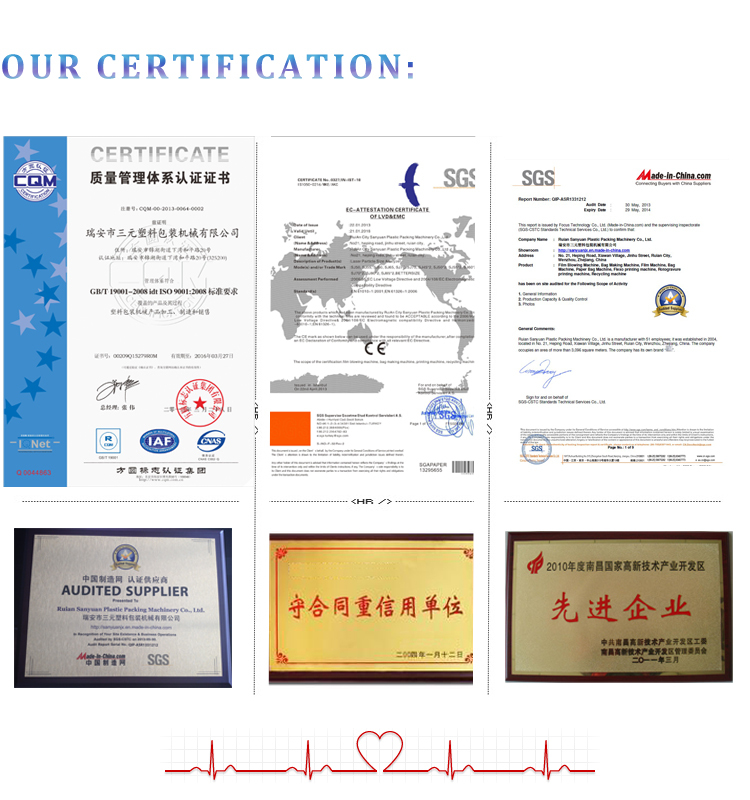 Therefore, it is independent control system. 6. Double punch: Two air cylinder device will be installed on the machine to do “M”shape cutting with heavy power. Moreover, two “U” shape knives will be installed on the machine to do two line punch production easily. 7. Bags Conveyor belt: it adopts conveyor belt to send bags out in order. 8. 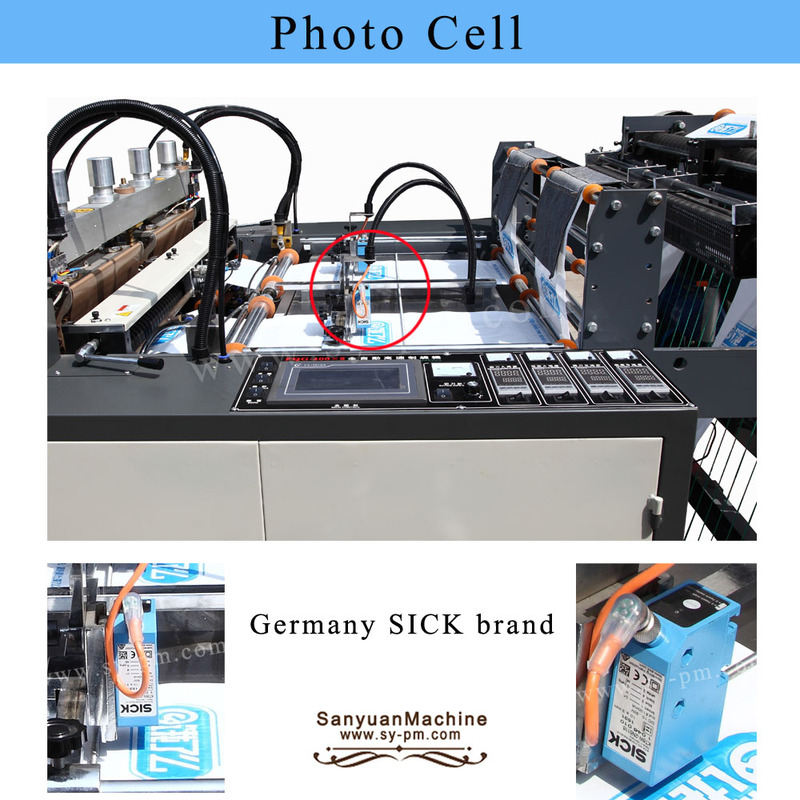 Double photo cell: Two photo cells will be installed on the sealing and cutting unit to track the print mark for print bags in two production line. 9. 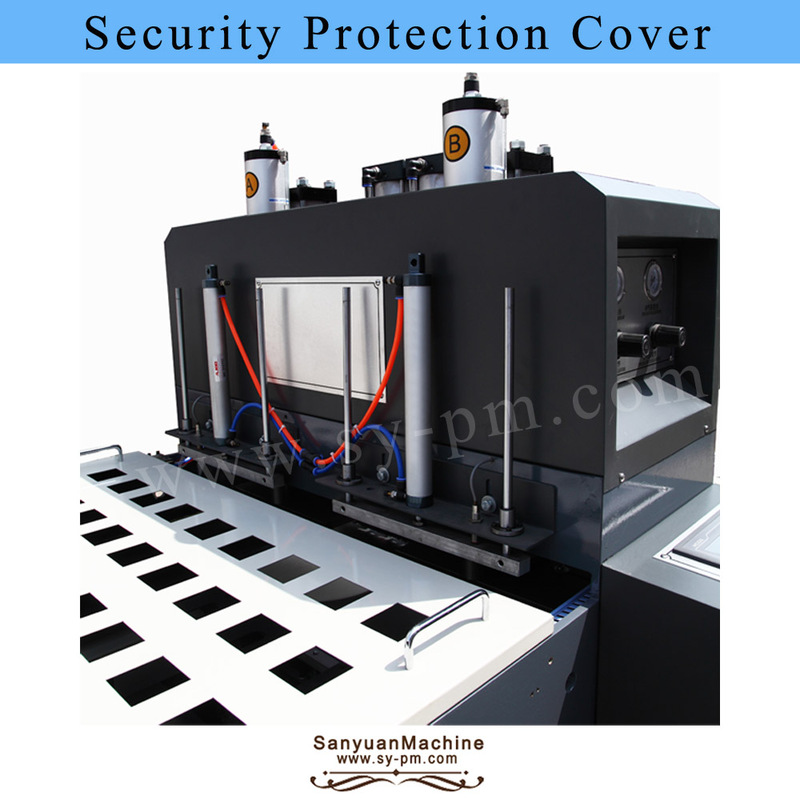 Its machine has the following more features: automatic temperature control, double driver, double sealing knife, automatic counting system, alarm system. 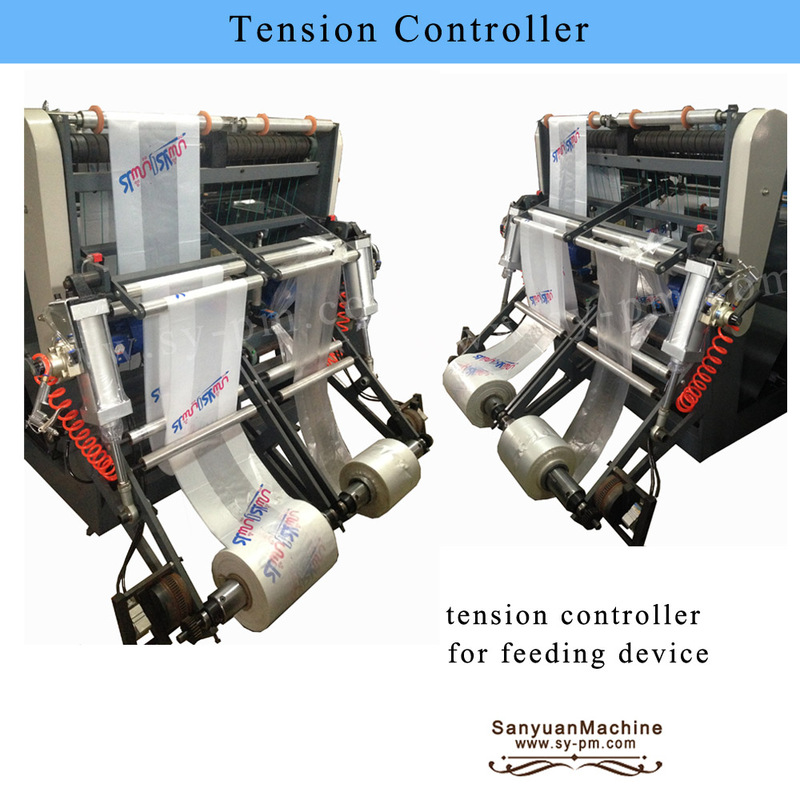 When machine stop, the film roll will not loose the film, the tension controller will tight the film to avoid film loose. 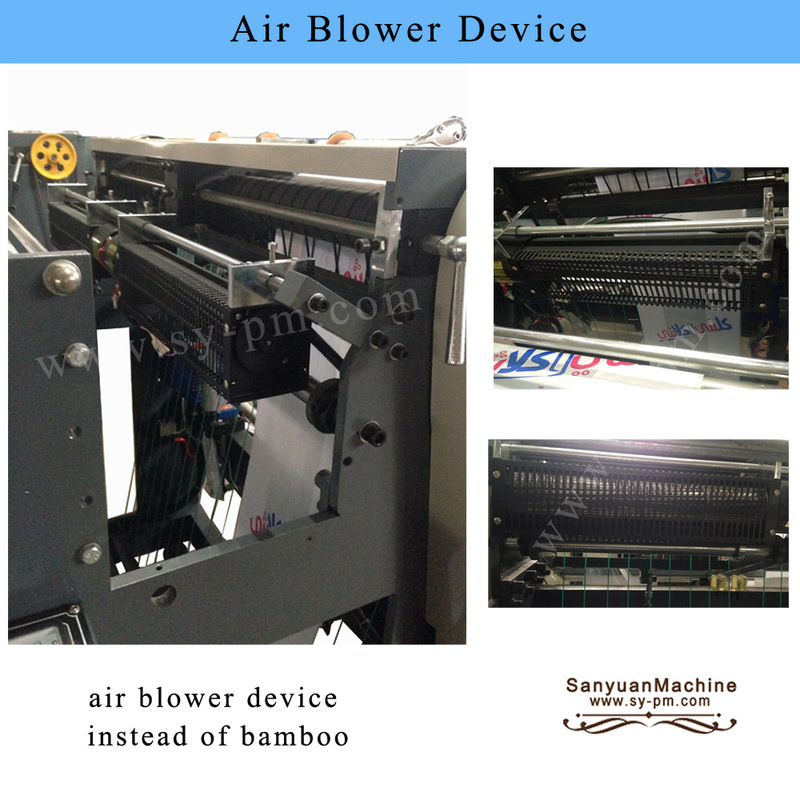 The feeding device adopt air blower device instead of bamboo. When machine working, the air blower will blow the air, to keep the film roll in the same position, to avoid the film to run up and down. 3.The copper knife structure advantage: it adopts separate struction to avoid knife deform. It will grantee the bag quality. When machine is working, Rectification device and dancing roller can avoid the previous bags heat sealing line to paste with second bag heat sealing line. The first bag move forward, and second bag move backward. 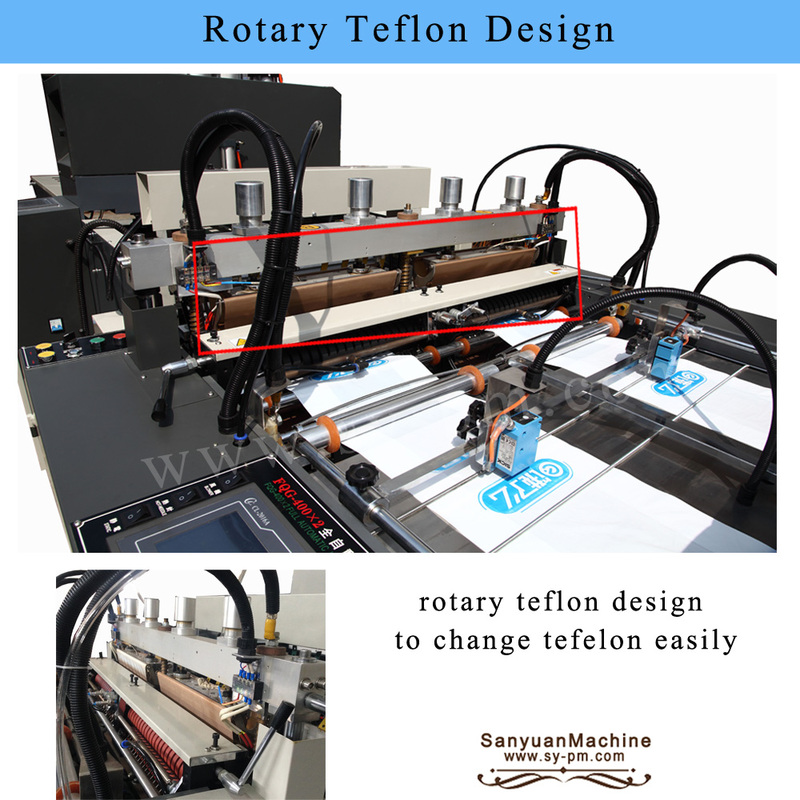 When one film roll has different thickness, the gearbox can adopt two kinds of work way: A) the machine will change speed according to film thickness ; B) fix speed to work with standard film thickness (10-20micron).